Chrome OS has supported Android apps for a while now, which has marked a massive change for the operating system. Despite the fact that the hardware of Chromebooks can handle Android apps, the software seems to be lagging behind a little. Thankfully, that is about to change. 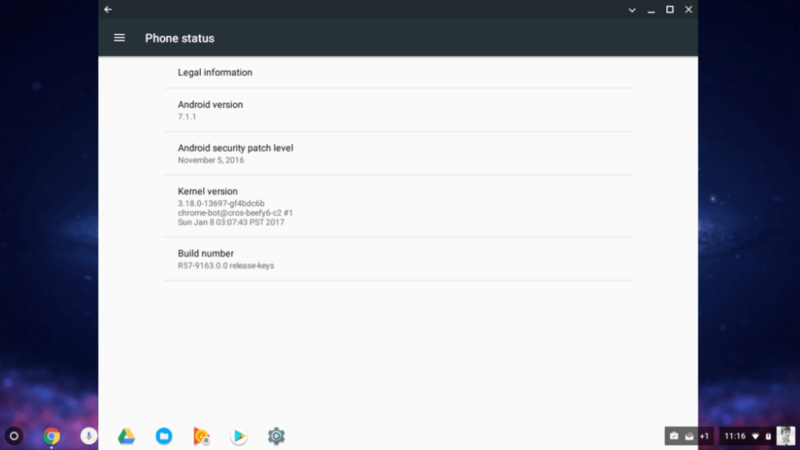 To date, Android apps that run on Chrome OS have had to be based on Android 6.0 Marshmallow, basically meaning that they have to follow certain guidelines as to what they can and cannot do. There are, however, a few big difference between apps based on Marshmallow and apps based on Android 7.0 Nougat. Perhaps the biggest difference between Marshmallow and Nougat is that Nougat brings the ability to resize apps, as well as support for multiple windows. What that means is that apps can act much more like they would on a computer — you can have a few windowed apps open at once, just like you would be able to on Windows or MacOS. 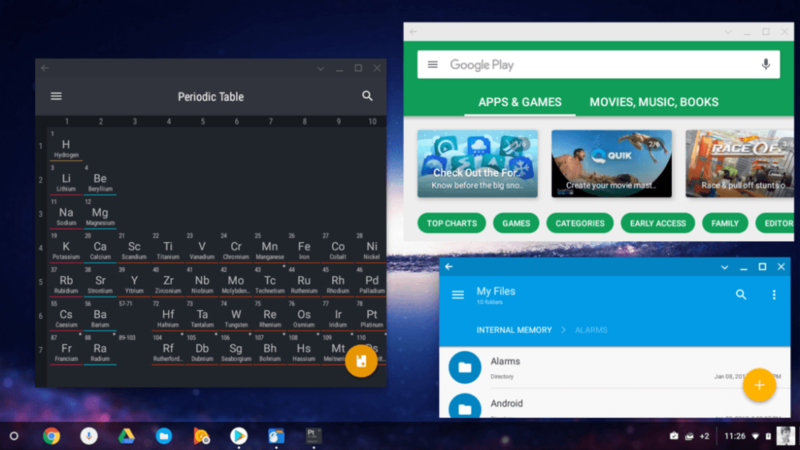 Still, there are a few other great features that could really solidify Android apps on Chrome OS — the most notable being that Chrome OS needs the Google Play Store.